My friend Bernie had been following my stories but had cause for complaint about the one I wrote about the reptiles of Tenerife. 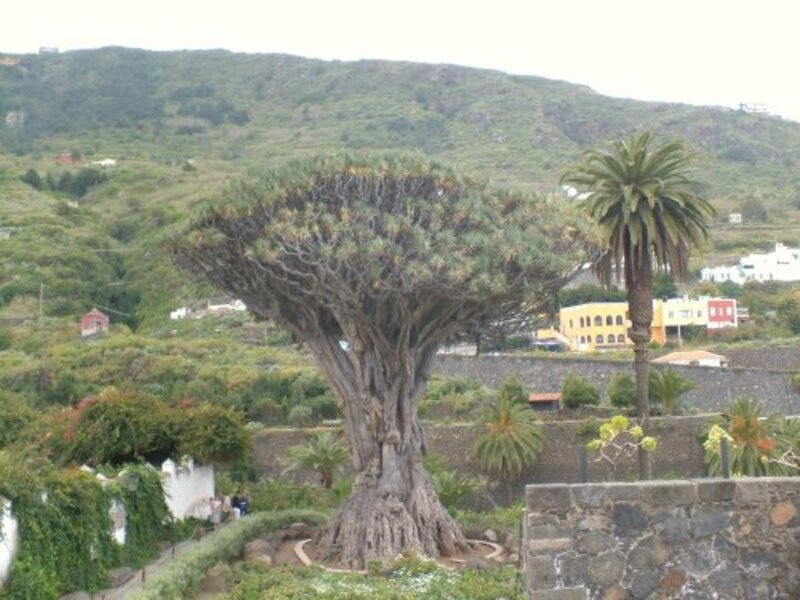 It's all very interesting, he said, but when you are writing about the Dragon Tree park and the mini dragons that live there why isn't there a picture of the famous Canary Islands tree itself? Good question, I suppose. No room, I told him, but to correct the matter in this article I am going to tell you all about Dragon Trees and the main one on this island, of course. Dragon Trees (Dracaena draco) are survivors from a bygone age and were around in prehistoric times. They are believed to be one of the longest surviving trees on the planet and they are made to stand up to all manner of adverse conditions. Dragon Trees can withstand extreme heat, drought, wind and salty spray but they had no natural protection against people and so countless specimens were destroyed for use as timber, to clear the land and for commercial purposes. 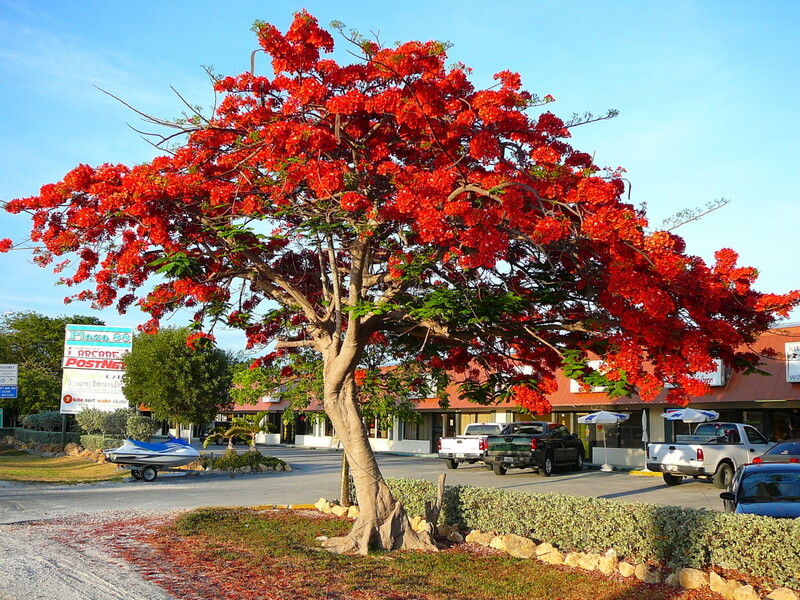 Fortunately they are now legally protected and have become recognized as a plant symbol of the island. The most famous of all is the Drago Milenario in Icod de los Vinos and this mighty Dragon Tree is believed to be between 1,000 and 3,000 years old. When you stand beneath it and look up at the weird shapes in its huge trunk and the twisting masses of branches fanning out and standing proudly, with Mt. Teide in the background, it is easy to feel its ancient power. What tales such a tree could tell if it could but speak for it has watched the centuries come and go. I like to think Dragon Trees can talk to us via our imaginations if we stand under them and let our minds wander. 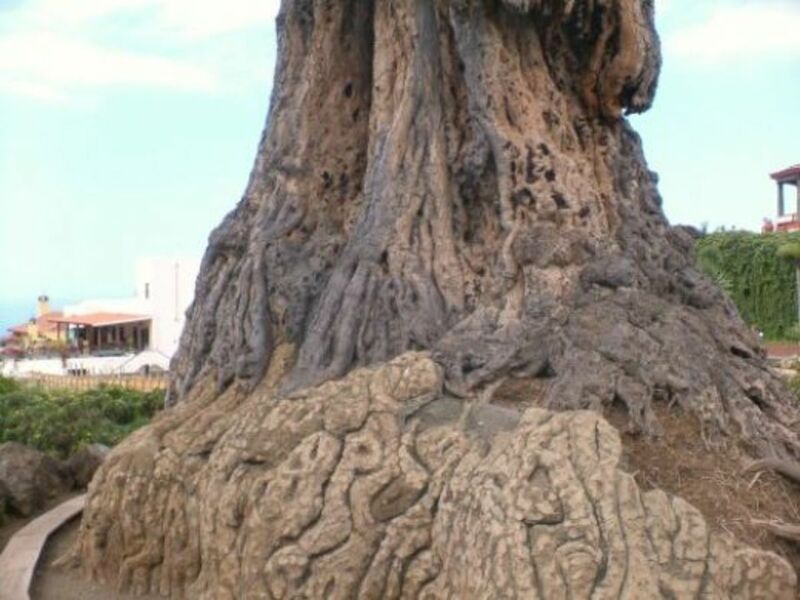 Indeed, the tree was once regarded as a sacred site for the Guanche who are said to have assembled under it for ceremonies and meetings. 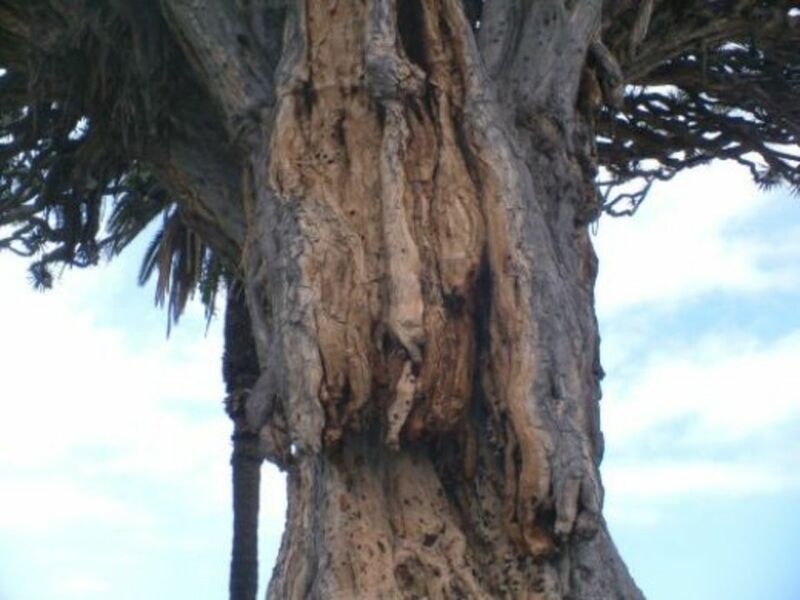 These people who made shields from its bark and trunk and used its red dragon's blood resin for embalming their dead regarded the Dragon Tree as holy and magical and it is easy to see why. 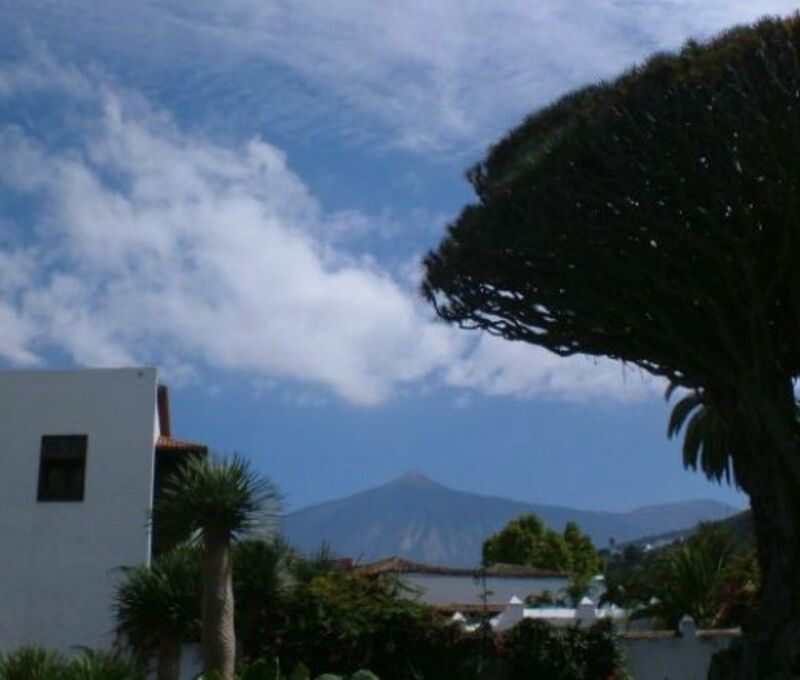 When I first set foot in Tenerife a few years back a friend of mine called Priscilla was showing me around Santa Cruz and as soon as I saw a huge Dragon Tree there I was amazed. 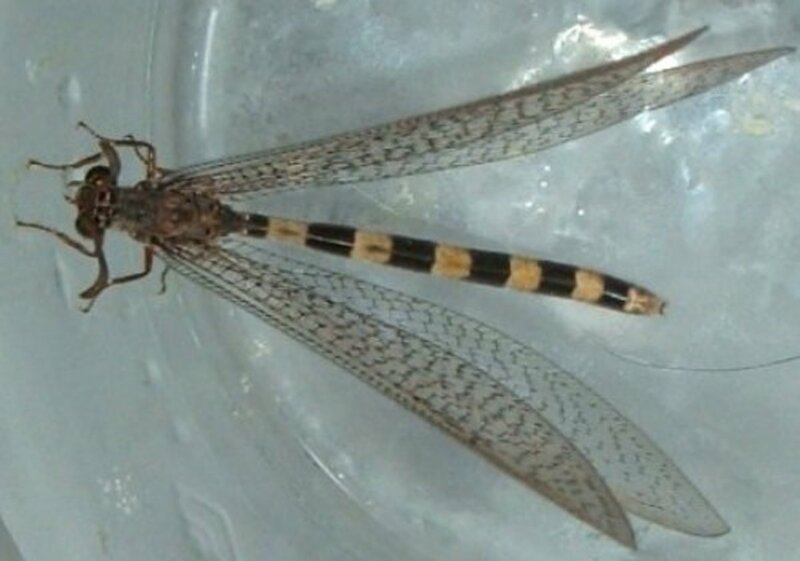 I had never seen one before and the sheer size and strange appearance appealed so strongly and captured my imagination. All I could say was "Wow!" We call them "Drago," my friend told me and the Dragon Tree became an image of Tenerife that implanted itself in my mind strongly. It became one of the many charms and mysteries of the island that appealed to me so much that I moved here. The Dragon Tree has become associated with legend, and one of the reasons it is named after the mighty reptile of folklore is because old trees sprout many heads like some dragons were reported to have and because the hanging aerial roots look like the beard of the fabulous beast. Greek myths relate the tale of Hercules and his heroic quest to bring back three golden apples from the Garden of the Hesperides. A hundred-headed dragon called Landon was the guardian of the place and after the hero killed it to reach the fruit, trees began to spring up from where its blood fell on the earth. So that is an explanation of where the Dragon Tree originated and where that magical garden was, namely here in Tenerife. It is a story from another world of gods and goddesses, heroes, monsters and epic journeys in mysterious realms. Indeed, there is something very otherworldly about these trees and it is hardly surprising to learn that the dragon's blood resin has been held in high regard by sorcerers and alchemists of old and is used to make a special incense. In astrology the Dragon Tree is believed to be ruled over by Mars the god of war. If you go up on Mt. Teide there are rugged landscapes of volcanic rock as weird as any images of the Red Planet and so perhaps it's fitting that a tree ruled by Mars grows so well on an island that in some places looks like its planetary neighbour. You have probably noticed how most towns and villages here have their own Dragon Trees. They are landmarks and also something for the local community to be proud of. There are dragon tree stories and myths and dragon tree facts. 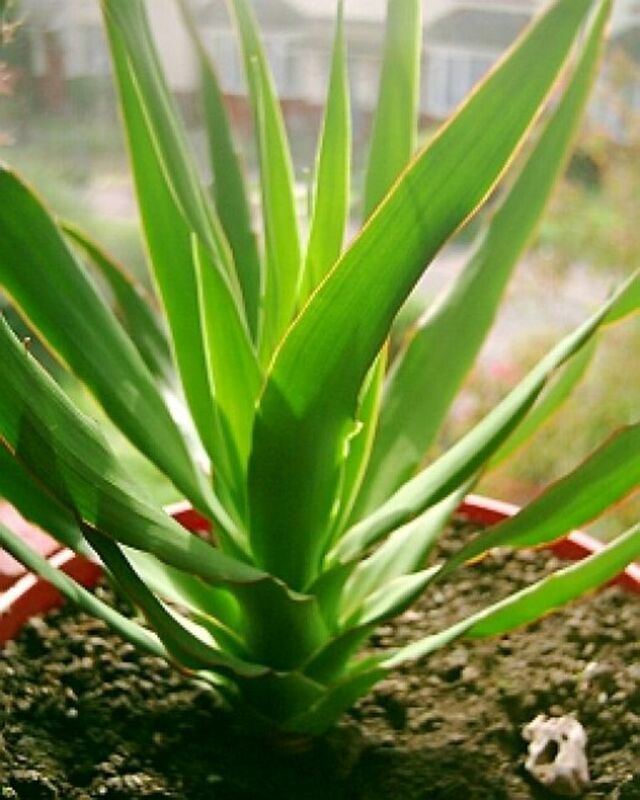 A very good way to find out about them is to grow a Dragon Tree houseplant. They are easy enough to care for, although they take a long time to germinate and can take 10 years or more before they flower. I have grown them from the seeds, which are contained in the orange-coloured berries. A friend of mine called Carleen, who lives in hurricane ravaged Mississippi, asked me to post some over to her and I did so last year. She recently e-mailed me to say that one of the only things that survived the salt water that flooded her garden was a baby Dragon Tree she had grown from my seeds. Something to consider that might motivate you if you are thinking about planting a Dragon Tree. Footnote: Originally published as Tough survivor from myth and legend in the Western Sun, 3 November 2005. They would probably be OK there just as long as you never go below zero. They don't mind rain. I live in northern california in a area that doesn't snow but we get a lot of rain during the winter months. Would I be able to grow then in this area. I would love to have them surround me I live on a 1500 acre farm. Thank you for posting all the information. 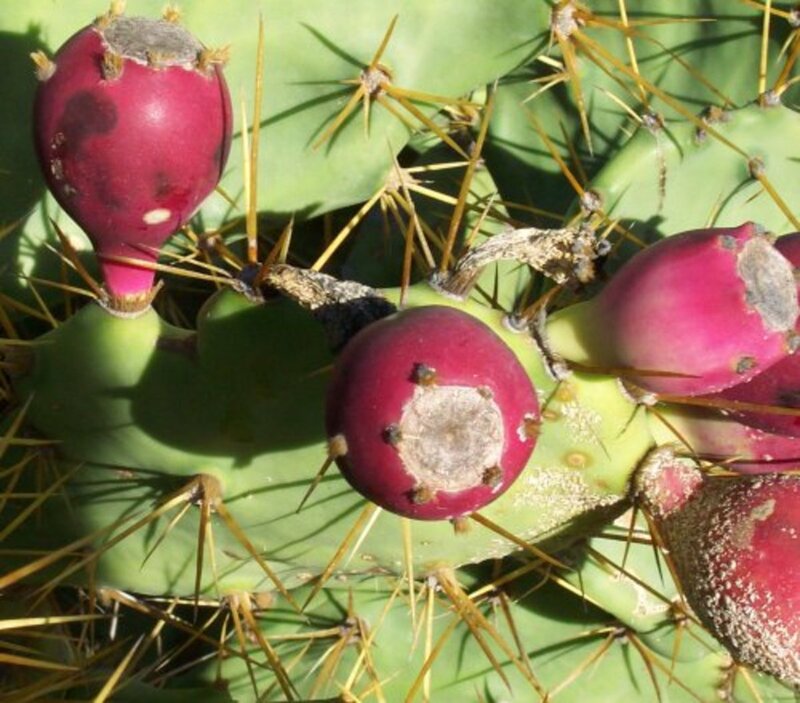 It cannot tolerate below zero temperatures. Can anyone tell me how resistant to cold weather the Dragon's Blood Tree (Dracaena) is? I have my doubts that its very resistant against cold weather, but I just thought I'd ask anyways. You can buy seeds and trees on eBay - please look at the ads above. 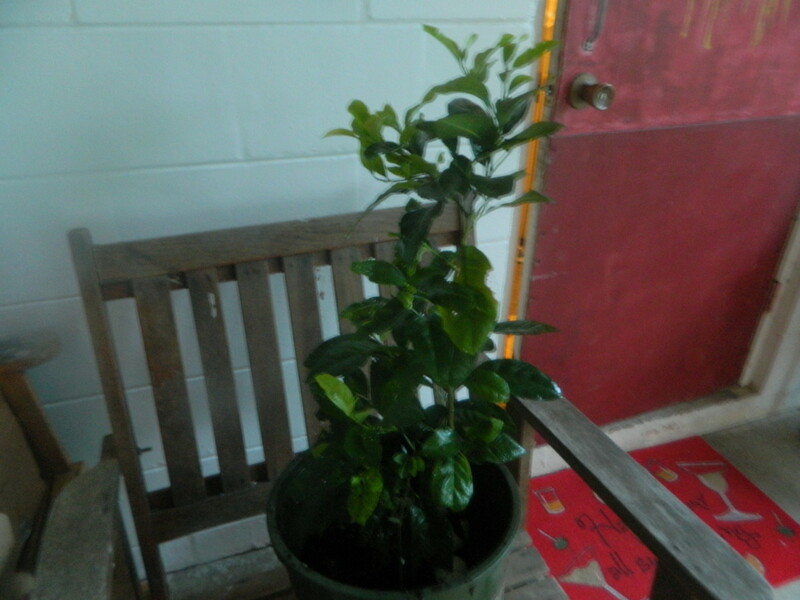 It will grow outdoors in Belgium in summer but needs protection from frost in winter. I live in belgium so I don't know if it can grow here. Or if i can buy it but thank you for this information. I hope I can use it when I would manage to get a seed. Thank you for your comments, JamaGenee! I'd decided from your previous hubs that Tenerife is a magical place, but those Dragon trees are simply breath-taking! Not hard to believe they *will* talk to anyone who'll listen. I love Dragon Trees as you have probably gathered! Thank you for posting, Adorabay! The Dragon trees are enormous. I would love to be able to see one of these in person. I always hear about them in such huge magnitude. Wonderful and unique Bard - thanks for sharing this with us! Well, I would think that under the circumstances of the tree needing to re-root itself firmly it will need to conserve energy and put it toward that cause rather than reproducing itself. I would suggest pruning the fruiting stems off but if the berries are fully formed and ripe they will have seeds in them. If they do, I would suggest saving them and planting or passing on to others. Each berry should have one large rounded seed. Hi. 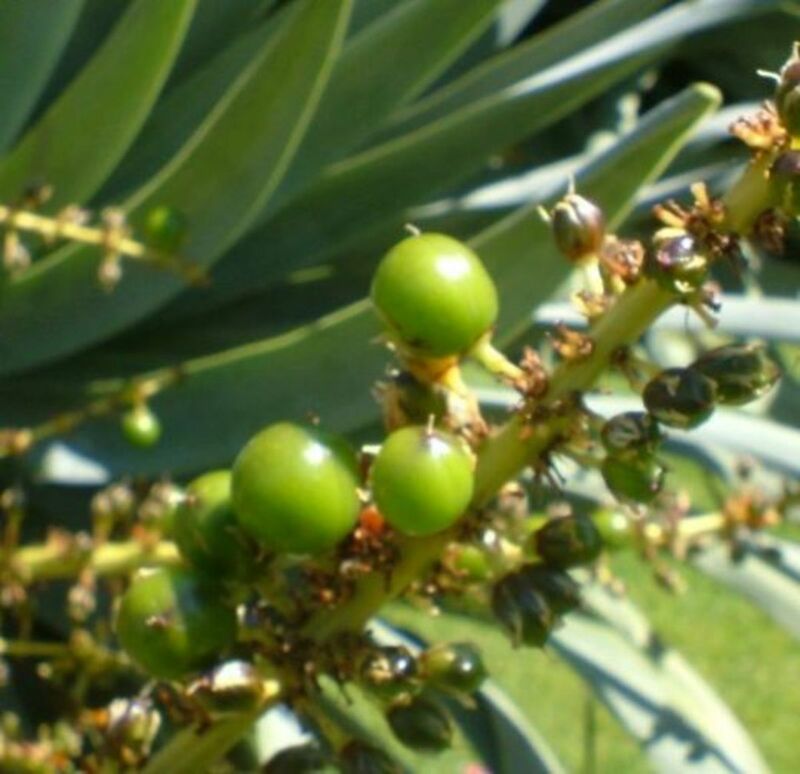 I have recently re-planted a dragon tree and still has the berry stems and berries on them. Do I cut off the stems with the berries, or do i just leave them on the tree. Thank you for posting, Dolores! Very sadly lots of them are dying here under attack from scale insects and also, I believe, damaged by fluoride in the public water supply. 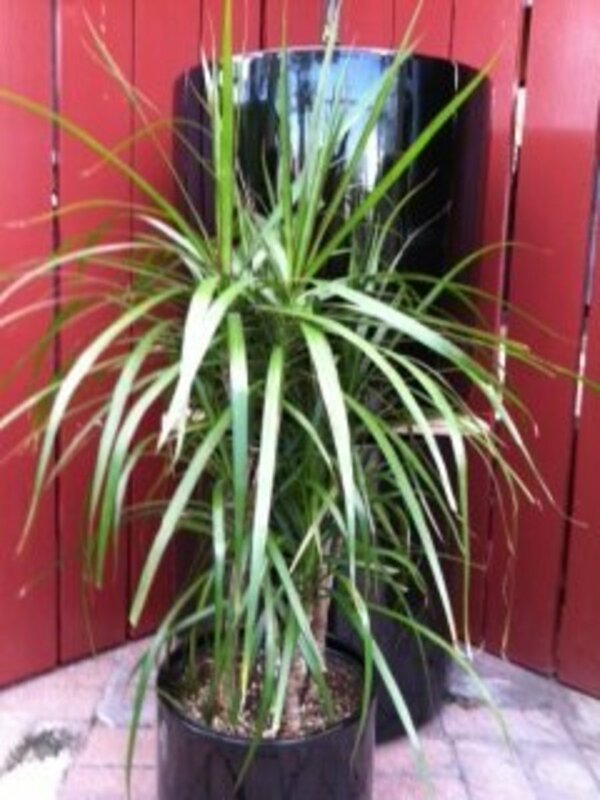 It is known as a killer for Dracaena species and this is one. I have a separate hub on the subject. The situation is getting worse every day. A lot of this island looks Tolkienesque! Such an intersting tree! It looks like something out of a Tolkien story, so unusual and beautiful - the one in the distance. Thanks for sharing these unique trees. Email me your address and I will post some over when I get chance. 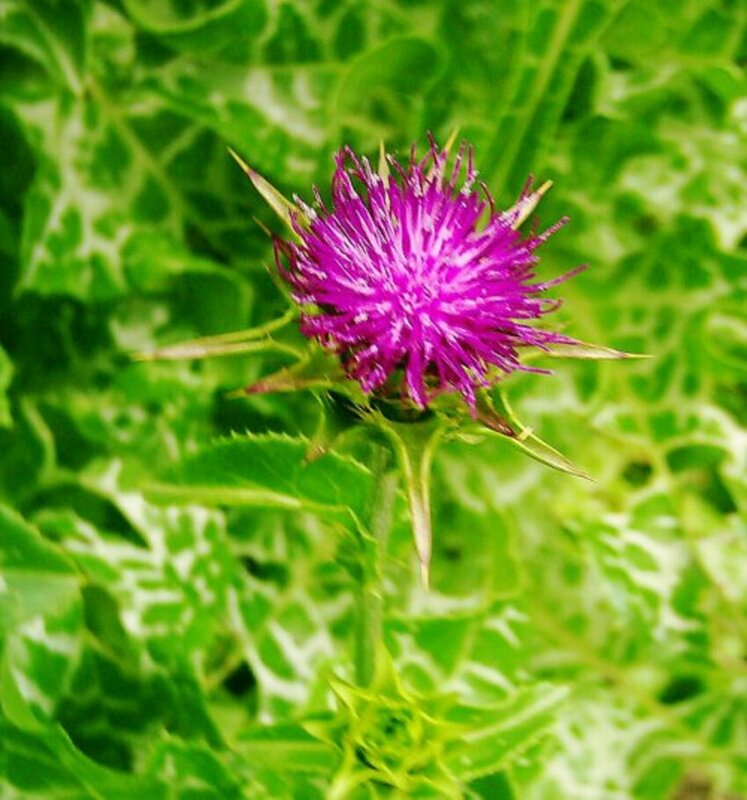 They take about a month to germinate but you can get an impressive rossette of spiky foliage in a year. A little trunk a few inches high takes a few years though. No, far too cold. They cannot take freezing. OK indoors though and outside in summer. I could maybe send you some seeds. Yes, indeed - they must have seen so many changes in the world around them! Interesting hub. I like trees also and have the sense that their great age alone qualifies them for veneration. Dragon Trees here produce thousands of berries with seeds but sadly most get thrown away by gardeners who cut the branches off and sweep up any that have fallen. At the same time you can buy as few as two or three seeds in a packet from a shop! A new threat to the Dragon Trees here are scale insects that plaster the leaves and weaken the trees to the degree that some die, The answer appears to be to prune off the infested leaves in the hope it will stimulate the tree to produce more healthy ones but it's an ongoing battle and not helped by lack of rain. I used to think the Dragon Trees were much tougher than they actually are. Because they are popular for gardens and parks there's no danger to them really but its sad seeing established trees die. I am very glad to hear yours is doing so well. As Dracaena Draco isn't available here, I planted a Dracaena Marginata (madagascar dragon tree) in my yard. It started as a cutting from a friend's 20 foot tall specimen, and is now about 8 years old. I has survived everything nature has thrown at it, has never been fertilized, and now stands about 7 feet tall (it was 18 inches when I planted it) and has several branches. I was told by my grandmother that dragon trees are magical, and that everyone should have one in their house or in their yard if they live far enough south, which I do. Soak them for a day or two and then plant about half an inch down and keep moist. They take at least a month to germinate. Good luck! I rmember us looking at the Dragon Tree in Icod with the middle aged couple who thought you were Billy Connolly. But it truly is a unique tree, a monster of a tree, a beast. I still have the seeds. Remind me how I should grow them again.